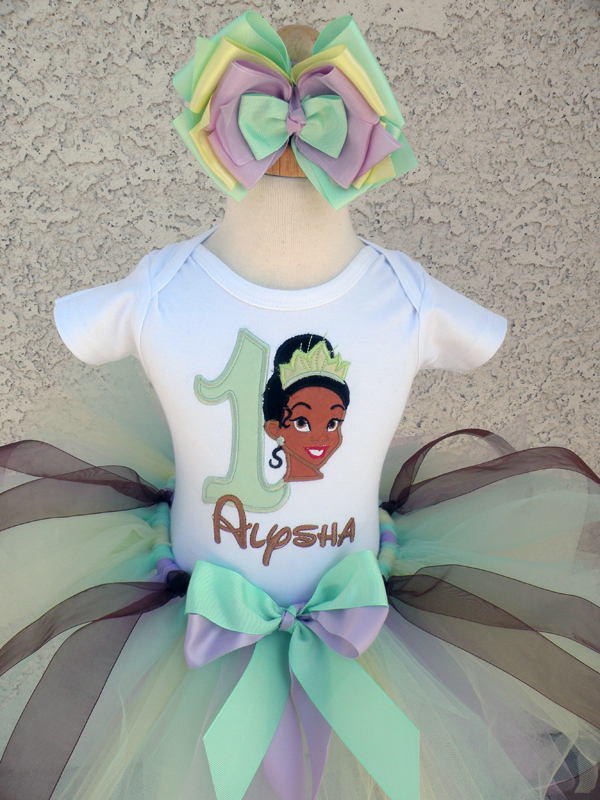 Your little princess will shine in her very own princess Tiana inspired birthday shirt customized with her name and age. 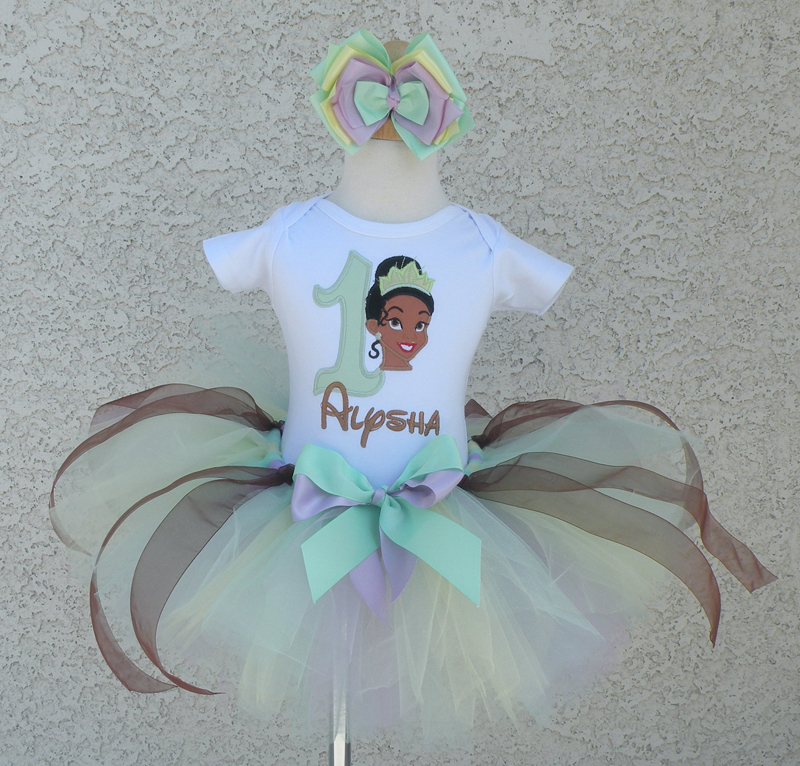 She will look tutu cute! It's perfect for Princess themed parties. You can get this shirt made with or without a name and age (up to age 16). This item is custom made in the US. Please allow up to 10 business days for your order to be created, plus shipping time. Our business days are Monday thru Friday. Rush processing is available for an additional fee.